The Shadows Over Somerset Blog Tour is coming to The Rage Circus. 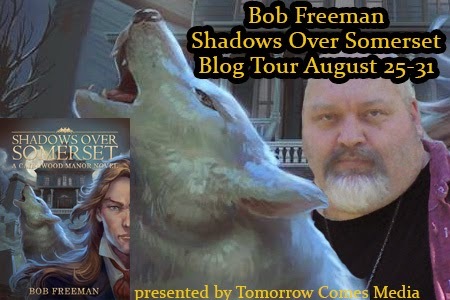 Join me tomorrow for an interview with author Bob Freeman. After you get a glimpse into the mind of the writer, you can join me again on Sunday when I review the novel.